January 18, 2019 -- The beginning of a new year signifies change and refocus for many people in their personal lives. This period of change also should be recognized in your practice when it comes to which Codes on Dental Procedures and Nomenclature (CDT) you are using. Just as continuing on with less than great habits can take you further away from your personal goals, using inactive CDT codes can cause delays in payment and loss of profit for your practice. Teresa Duncan is an international speaker who focuses on revenue, dental insurance, and management issues. Your claim can be denied because you are using a code that does not exist anymore or has been modified. You may be told why it was denied, or you may not. Either way, you are creating more work for yourself by spending more time refiling claims, billing the patient more than necessary, or writing off the amount. I have worked with offices whose codes were multiple years out of date. They also hadn't assessed their fees in nearly a decade. I tell my clients not to miss out on their maximum profit potential by using inactive CDT codes. Sometimes if a code has been recently deleted, it still may be paid out but at a lower rate than the current code. For example, the code D0110 used to apply for an Initial Exam. This code eventually was deleted, and a new code was introduced (D0150). Many practices did not change to the newer code and continued to submit claims using D0110, which many companies paid out but at a lower rate than D0150. Meet with your team each year and let them know that there may be coding changes. Just as it may be easier to skip your workout, it is easy to continue on with the same coding habits. However, change can be good for your personal goals as well as in reaching your maximum earning potential as a practice. Not only will updating your codes help you in terms of profit, it also will save time in dealing with denied claims. CDT codes are updated each year with three possible edits: additions, deletions, and changes to current codes. Your practice management software probably releases an update that includes these changes; if you haven't installed it yet, now is the time. Be proactive in your coding, so your claims aren't denied. 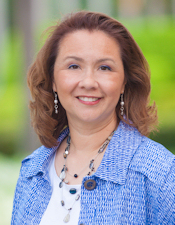 Teresa Duncan is an international speaker who focuses on revenue, dental insurance, and management issues. She is the author of Moving Your Patients to Yes: Easy Insurance Conversations. For more information or to contact her, visit her Odyssey Management website.